For many months now, I have been suffering from severe depression and widespread, daily pain. It’s been a horrible time. However, I’ve found something that I can’t describe as anything other than a miracle. Golden paste. This simple mix has helped me to feel like myself again, and I want to share my story with all of you. So, my story… I’ve been dealing with perimenopause since late last year. Life has not been fun. I started having more pain, mood swings, hellish periods, and it just generally sucked. I soldiered on though, as I always do. However, several months ago, things started to get worse. The pain was so much that I was taking anywhere from four to twelve acetaminophen tablets (Tylenol) a day. Sometimes I even dipped into an old stash of prescription painkillers, because the pain was so severe I could barely move. My mind was foggy, I was always tired, and I was on a constant emotional roller coaster. Most of the time I was just blah, with frequent crying jags and bouts of depression. These kept getting worse over time. A couple of weeks ago, I had my worst day ever. I was sitting at my computer when I was just hit by a wave of depression. I started bawling, and it spiraled into several hours of crying, wailing, and begging for death. I was talking about suicide and asking for anyone to kill me. It was a horror show. In the moment, I felt like death was the only answer to the unbearable physical and emotional pain. To shorten things a bit, I’ll skip to a few hours later when it finally passed and I had a precious bit of clarity. I used that clarity to delve into deep research mode. I know that my life isn’t great, but I also know that it’s not so bad that suicide is the answer. I knew too, that I’ve suffered a lot of pain and illness in my life and always gotten through. What I’d been experiencing was outside reality, beyond what I could explain. It was wrong, and it wasn’t me. I wasn’t going to take it lying down. I started really looking into things at that point. I found that somewhere between 23-28% of women in perimenopause experience severe, lingering depression. Our brain wiring and our hormones get completely wrecked, and it causes abnormal behavior, which is frequently misdiagnosed as a mental issue. It’s also common to experience more pain. Well, that armed me with the knowledge that my biology was screwing with me and this wasn’t my fault. That was a start. Next was to find out what would help. It turns out that hormone therapy isn’t really all that effective, and only helps with a small portion of these symptoms. The depression in particular really isn’t even touched by hormone replacement. Now, for any of you who know me, you know that I’ve been studying and using herbalism for about 20 years. Obviously, looking for something herbal was high on my list. Further research showed that there were herbs that could help some of my symptoms, but not all of them. I’d have to be on a whole host of herbs to deal with it all. That would be expensive and difficult. I kept looking though, because I knew that I couldn’t ever have another breakdown like that. For myself and those around me, I needed to find a treatment. After a good deal of searching, I saw something about turmeric and its use for treating depression and anxiety. I was intrigued and read on. The more I read, the more I was convinced that turmeric was something special. It’s been used successfully in treating both anxiety and depression and is widely regarded as being as effective as Prozac without the side-effects. That sounded good. 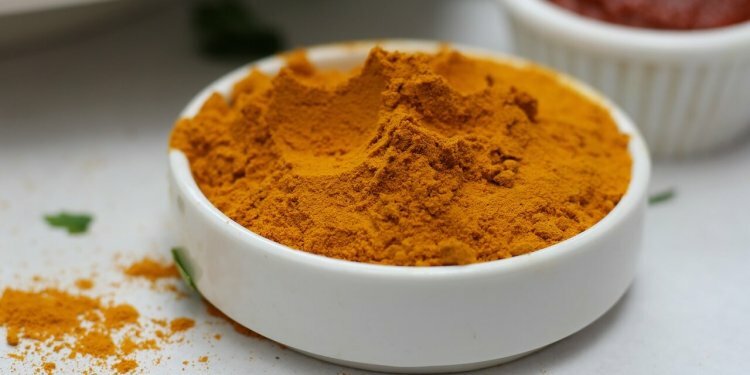 What’s more, turmeric is good for easing pain, inflammation, general mood swings, and is being researched for its ability to fight altzheimers and cancer. It’s regarded as a wonder drug. I was a little skeptical, but I couldn’t face the physical and emotional pain anymore. I had to try it. I found that a common preparation is called Golden Paste, and it’s been used for centuries. I looked for a good, old-fashioned recipe, and ordered what I needed. For less than $20, it was worth trying. I even used my Amazon Prime trial because I was so desperate for relief. 1/2 cup turmeric, 1 cup water, 1 1/2 tsp ground black pepper and 1/3 cup coconut oil are all you need for a batch. Put the water and turmeric in a pan over low heat and stir until you get a thick paste. Add the pepper and oil, stir until it’s thick again, and store in the refrigerator in a glass jar. I began taking the recommended dose of 1/4 tsp three times a day. The stuff was awful. I’m not going to lie, it tastes horrific. Like garden soil and paprika. After a few days, I found that mixing it into a shot glass worth of ginger ale made it go down without much fuss. After a few days, I upped the amount to a rounded 1/4 tsp. per dose. Three short days in, and I could feel the difference. My crying jags came less often, and I was gaining more control. There was suddenly less fog in my mind, and I was aware that the feelings weren’t my own, and I was able to bring myself around. By five days I realized that no mood swing had lasted more than a few minutes, I hadn’t had any real crying sprees, and I wasn’t feeling depressed. I was feeling normal. What’s more, I was feeling far less pain. I was down to 1-2 acetaminophen a day. Now at two weeks, I’m hardly feeling anything out of the ordinary emotionally. The tiny waves that hit me are easy to dismiss and move on. I feel in control of my mind and feelings again. I’m also going for days on end without any pain medication at all. It’s even relieved the pain from my bad wisdom tooth! I absolutely call this golden paste a miracle. The change is so dramatic that even the other people I live with have noticed. They can hardly believe it. Honestly, I have been amazed at how well, and how quickly it worked. I was planning for it to take weeks to kick in, I never expected to have relief within days. I am more grateful for this concoction than I can express. Now, as I mentioned above, I’m using this for the hell brought on by my perimenopause and other pre-existing issues. that’s not all it’s good for though. It can be used by anyone with anxiety, depression, mood swings, or chronic pain. Aside from possible gas, rare heartburn (in sensitive people) and vibrant orange urine, there really aren’t any known side effects. And as I said earlier, it’s being researched for all sorts of disorders. It’s even being looked at to help with diabetes and fibromyalgia. I absolutely recommend that people try this. The links in this article are the products I bought. (I got a 1 lb. jar of the turmeric, but they’re out of stock right now.) I do have a sensitive stomach, so I also got some really great unsulfered ginger to eat, and that works. If you’re having issues, do try this. It’s been amazing for me, and maybe it can help others just as much. A few words of warning though: Don’t cheap out on the ingredients. Don’t bother with trendy new recipes that have various crap added to them. Don’t take the capsules. (The capsules can be concentrated to a point that they actually make you sick. More is not always better!) If you’ve got a turmeric success story, please share!